A couple of years ago I began to write a book about seven generations of my paternal family in America. 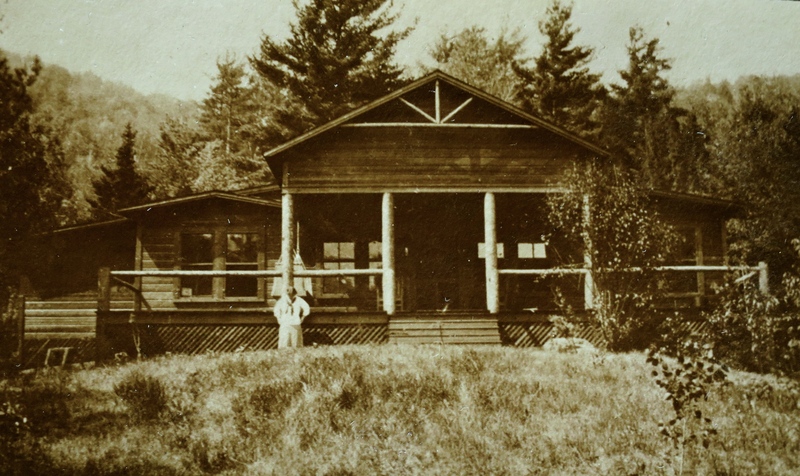 It was a labor of love in anticipation of the 100th birthday of my grandparents’ Adirondack cabin. The house, now owned by my siblings and our families, is located in the High Peaks region of the Adirondack Mountain Reserve, in a tiny hamlet called Keene Valley. It’s across the brook from the site on which my great-grandparents’ home once stood. 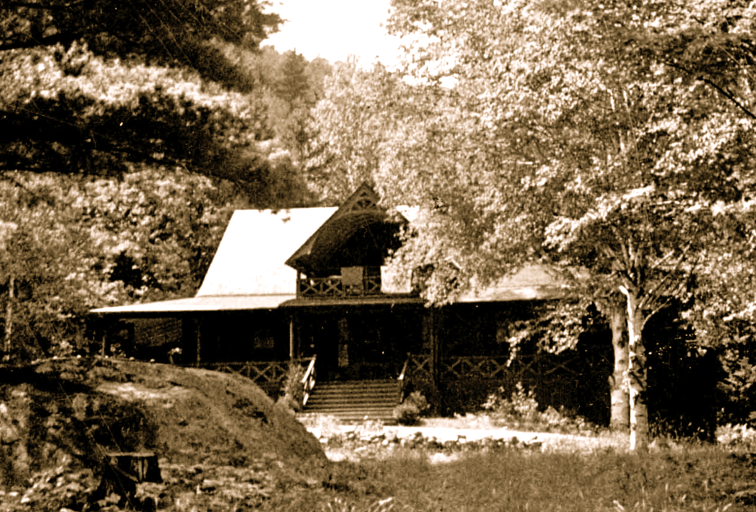 The centennial took place in August, 2015, and included 3 glorious days of swimming, hiking and family story-sharing. 50 double cousins*, from 2 months to 82 years, gathered for the occasion. *Double Cousins: 2 brothers married 2 sisters. 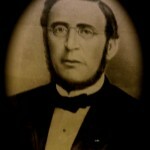 Julius Sachs married Rosa Goldman; Samuel Sachs married Louisa Goldman. Their offspring are double cousins. I circulated my first draft of the book at the event, and asked family members to check for errors and omissions (there were plenty). It’s difficult to describe how deeply I loved working on this project, which felt almost as if I was traveling back in time, meeting my ancestors one-by-one, and falling in love with many of them. The year turned into a virtual love-fest in my imagination. 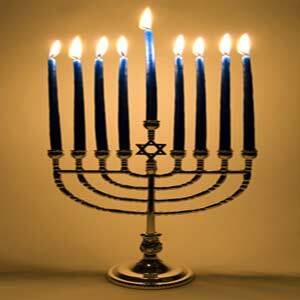 It all began in 1837, when two young Jewish men met in a synagogue in Würzburg, Germany. Both excelled in their studies: Joseph Sachs (20) was gifted in languages, Marcus Goldman (16) in mathematics, and the two quickly became close friends. 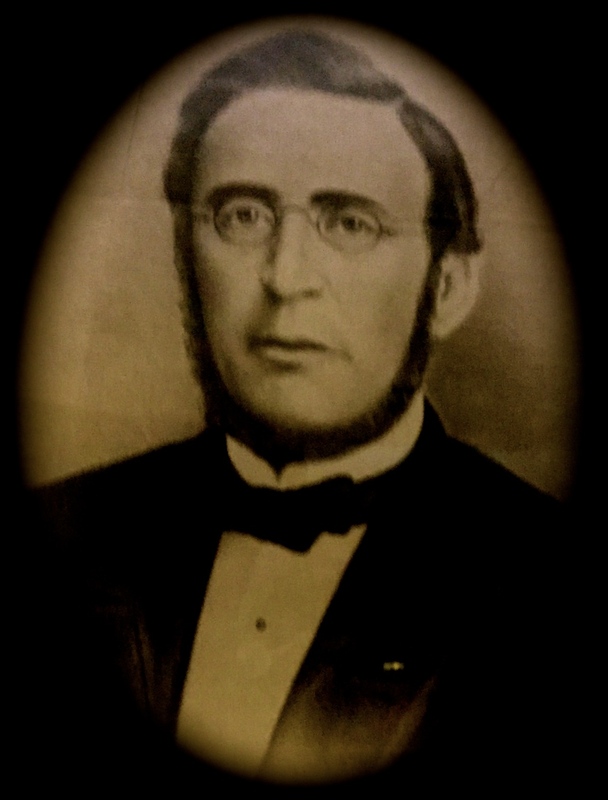 The custom in 1840s Würzburg, was that well-to-do Jewish families boarded poor students. Joseph was the poor student, and his generous hosts were successful goldsmiths who were also the parents of brilliant, young Sophia Baer. The student and the young lady fell in love, and when Sophia’s parents objected to their daughter “marrying an impecunious teacher”, the young lovers eloped to Hamburg, then sailed for America in 1847. Marcus followed suit in 1848, and the very day he arrived in Philadelphia he and Joseph bumped into each other! Their chance meeting foreshadowed a future alliance between the two families (albeit 30 years later) that would influence the world: Goldman Sachs & Co. 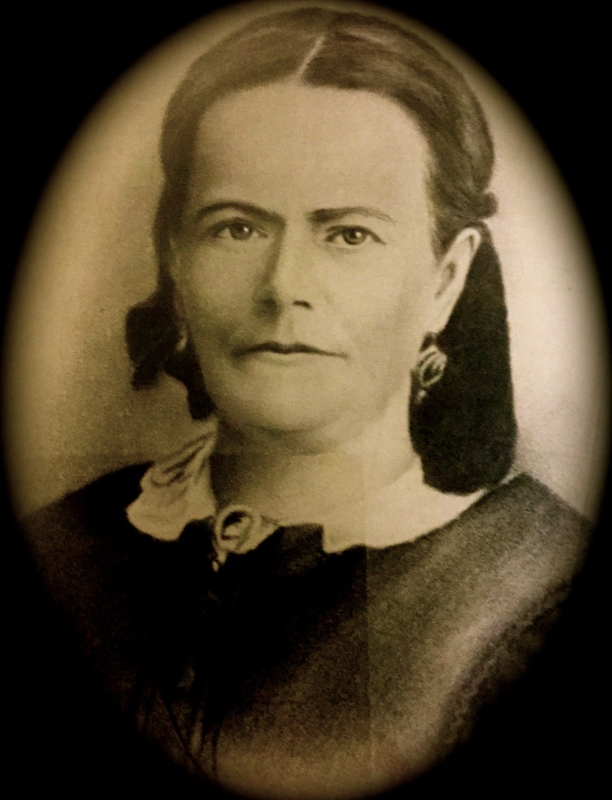 Meanwhile, Bertha Goldman (no relation to Marcus), was a young seamstress who had also arrived from Germany in 1848, then moved to Philadelphia in 1851. She met Marcus, who wished to court her with a bouquet of flowers; because his work as a peddler left him no money, he surprised her with a bunch of radishes hidden in his hat! It worked. The two fell in love, and were married later that year. Joseph, Sophia, Marcus and Bertha were my great-great-grandparents. 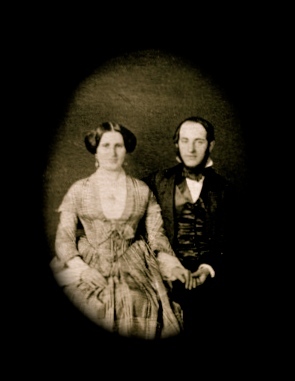 Feeling connected to them is visceral to me, although Joseph and Sophia never even visited Keene Valley (alas, they died too young). Their spirit, however, is everywhere surrounding Rushing Brook: in their commitment to “do what you love and give it your everything”, and in their unflagging support and trust for family. When I was 12, my parents invited several musician friends and their families to bring their instruments and join us for a long weekend of music and improvisation at Waldfried. The sensory experiences that summer were unforgettable: hearing and playing the music, feeling the freezing water on our bare feet as we ran across the brook and back, throwing meals together on the run… it was creative collaboration. I didn’t know at the time how deeply it would impact my future career. 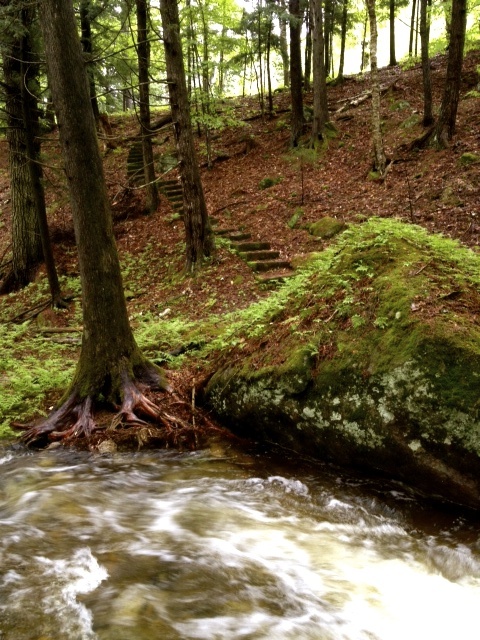 This summer I feel privileged to literally follow in the footsteps of our ancestors: down the old moss-covered-stone-steps, across the brook, and back up the other side, inhabiting their space, which I believe, on occasion, hosts their spirits as well. A love-fest indeed. What a gift. 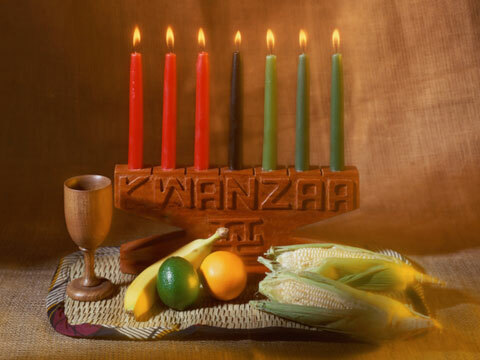 Whether you celebrate Christmas, Hanukkah, Kwanzaa, Yuletide, or any other Holiday, may it be filled with abundant creativity and joy! Here’s wishing you and your loved ones a Theatrical New Year! My mother was always a mystery to me. The oldest child in a large, Irish Catholic family, she was a brilliant beauty whose musical gifts inspired everyone around her. 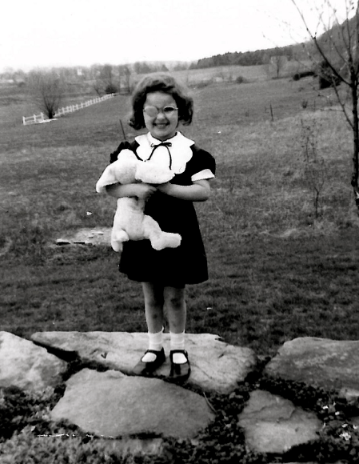 I was the polar opposite: scrappy, frizzy-haired, cross-eyed, born to bluntly question and challenge the world. I was convinced throughout my childhood that I was adopted; how could I possibly be related to such a refined, remote, creature? It became a lifelong quest for me to make sense of the distant dynamic between Mom and me. My mother was a gifted cellist, a child prodigy who grew up outside Boston during the Great Depression and became a soloist throughout central New England. Awarded a scholarship to a prestigious music conservatory after high school, she chose instead to work as a secretary in a Harvard cancer research laboratory to help support her younger brothers and sisters. It was there she met her future husband: a young doctor of German-Jewish heritage who shared her love of music. 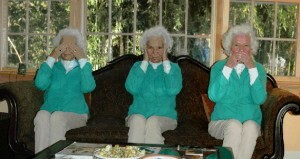 It was the first of many sacrifices she was to make over the next 60 years of what she always termed a happy life. I never experienced my mother as happy. She always seemed far away to me – detached – as if she wished she were somewhere else. It was probably no surprise that Mom gave up her solo career when she married; and that she played very little music during the years she birthed and raised six children. I struggled for decades to understand the irony of the life she chose as opposed to the life she might have built. Jeanne’s childhood was poor, Irish and Catholic, and filled with with the joy of music. As Mr. McCourt memorably wrote: “Happiness is hard to recall. It’s just a glow.” Those were the words that connected me to my mother. 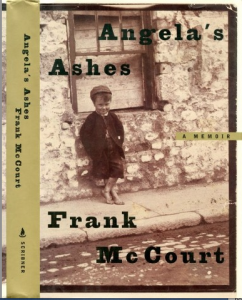 It is somehow fitting that Mom and Frank McCourt died within hours of one another. As the Irish American journalist Pete Hamill wrote in The Irish Central (July 22, 2009): “Irony, as practiced by the Jews and the Irish, can be wielded as a weapon, but it is above all a kind of armor… Irony creates distance, a certain knowing detachment, while acknowledging membership in the club of human weakness and folly.” That was Jeanne O’Sullivan Sachs. During her final days Mom kept her children laughing while whispering again and again that she loved us and was grateful for her happy life. I didn’t know that Frank McCourt was dying at that exact time. I wish I had thanked him for teaching me about the kind of happiness that is so unquantifiable that it just glows. Because that is what I treasure most about my mother: however far away she seemed to me, she always glowed. 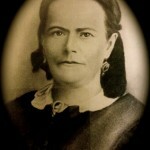 Happy Mothers Day, Mom. And thank you, Mr. McCourt. I’m imagining the two of you conversing, one more eloquent than the other, and wondering if you arrived at the gates of heaven together. Yes… I think magnificent music must have welcomed you as you danced your way into the kingdom. In January my husband and I prepared to move for the first time in 37 years. We had to reduce the size of our library to fit into a smaller space, and deciding which books to keep became a crazy-making endeavor for me. 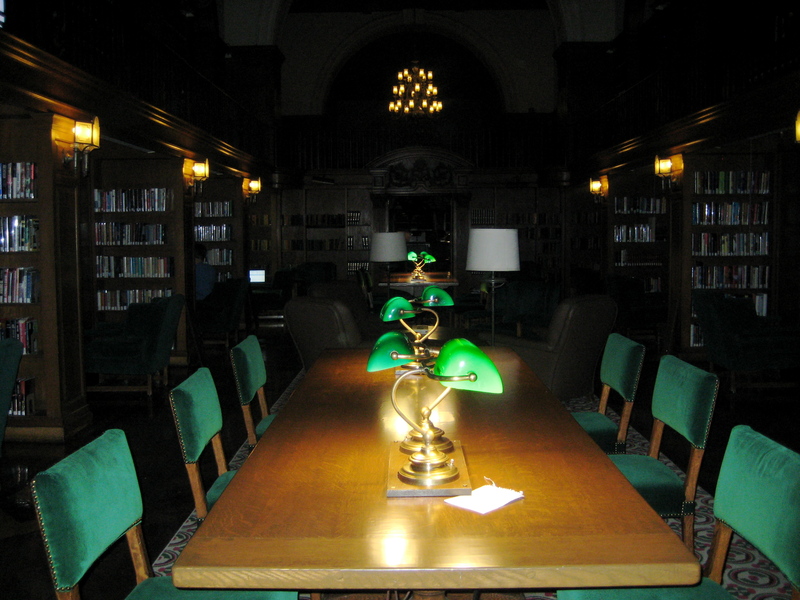 There were hundreds of books I couldn’t bear to let go. Day after day I thumbed through pages that once introduced me to worlds unknown. My gushing tears seemed disproportionate to the activity, as did my frantic scribbles of words I somehow had to hold close to me. Just as I thought I might actually be losing my mind, it struck me that I was simply doing something I’d loved since I was a child: collecting meaningful quotes I never wanted to forget. This simple act unintentionally launched a ritual that now brings joy to my daily routine: once a day I post a beloved quote on Twitter. Most of the quotes I collected were – no surprise to me – from women, so using the ubiquitous Twitter hashtag, I label each #WomanOfWisdom. This ritual has eased the process of giving away my books. Over the past three months I’ve donated boxes and boxes to schools, libraries, bookshops, Materials for the Arts, and to my children and grandchildren of course. A little piece of each book will be with me forever. And my hope is that the books will touch the hearts and minds and spirits of many who might not otherwise have been exposed to them. I love thinking about that. How long do you suppose it will take to run out of wisdom? I’d like to introduce you to a great love of mine. Mind you, I’m not alone: hundreds of other theatre professionals continue to participate in our love circle of 33 years, including my husband. Please meet THE ENSEMBLE STUDIO THEATRE (EST). FULL DISCLOSURE: I’ve been a member of EST since 1978. My husband and business partner, Roger Morgan, is a founding member who signed the original articles of incorporation in 1968, alongside EST’s Founder, the late Curt Dempster. 2) their commitment to collaboration. Actors, writers, producers, directors, designers, managers, technicians and critics (the 8 Roles of Theatrical Intelligence I write about on this blog), become “Ensemble Artists”. THE ENSEMBLE in the theatre’s name = its members. STUDIO = a “theatre gym”, where members gather for vigorous workouts and candid de-briefs from fellow members and the artistic staff. THEATRE = Place: 549 West 52nd Street, Hell’s Kitchen. In spite of its grit and an occasional mouse, it is passionately loved by its users. These three elements = THE ENSEMBLE STUDIO THEATRE, which provides a lifeline to creativity throughout the best (as well as the worst) years in the lives of its artists. Since its inception, EST has developed an astonishing 6,000+ plays. More importantly, it continues to nurture its artists for as long as they care to be nurtured, using its own collaborative technique. With a current annual budget of $1.3 million, EST has been recognized by the American Theater Wing, the NY Outer Critics Circle, Drama Desk Awards and Village Voice Obies; collectively, its members have won Pulitzers, Oscars, Tonys, Golden Globes… the list goes on. So why does this trashy little place matter so much to its members? To use myself as an example, I dared to write, direct, produce, and spread my wings as an artist at EST. I had never stepped into any of these roles before. In 1987, EST actress Christine Farrell asked if I’d join a group of leading ladies in an evening of our own making. She knew that we’d never be cast in the same play, and she simply wanted to be onstage together for a change, instead of competing for the same roles. EST member Pamela Berlin joined us as DIrector. We wrote, workshopped, disagreed, re-wrote, disagreed better, re-wrote better, learned to trust, performed, published and produced MAMA DRAMA, a collaborative piece that is still performed in academic and community theatres nationwide. My development as a leader is directly attributable to EST. By the late-80’s I was sick of performing, but I wasn’t trained to do anything else. I wanted to work ON a play instead of IN it. Because EST members are able to initiate their own projects, I did. I wrote. Directed. Managed. Experimented. Convinced people to work with me for free. Immediately after the experience of writing, directing and producing, I shifted my career, a direct result of exploring these roles. Writing is now one of my great passions and part of my daily life, and it would never have happened without EST. It’s where I discovered my “CEO shoes”, and they fit so comfortably I never wanted to take them off. Curt, Christine, Leslie, Rita, Annie, Donna, Marianna and Pam changed my life. There are many EST stories just like mine. Why? Because this theatre is the place to try out new stuff and know that it’s OK to fail. In fact, absence of failure is a bit suspect, and falling flat on your face is certainly the quickest way to learn: check out the 6 Principles of Theatrical Intelligence. And at EST, once a member always a member, so we get to fail again and again! These days I’m back at EST experimenting in yet another role: Vice Chair of the Board of Directors. I believe it’s essential to spread the word about this model of creativity, and work to ensure that it builds a financial foundation for its future. Because EST is not only a theatre that is deeply loved – it is a theatre that knows how to love back. 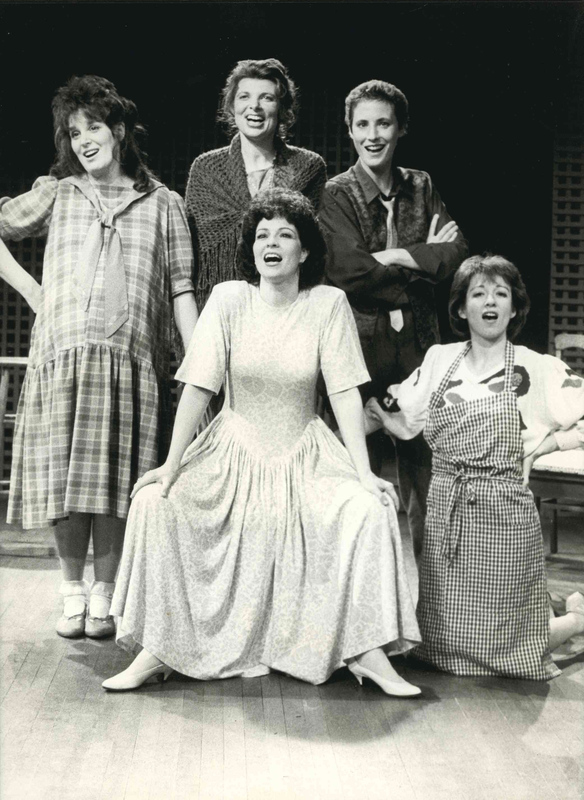 Photo above right: MAMA DRAMA, clockwise from left: Leslie Ayvazian, Christine Farrell, Rita Nachtmann, Anne O’Sullivan, Ann Sachs (seated, center). Not pictured: Director Pamela Berlin, Donna Daley and Marianna Houston. If you’d like to see what’s going on at EST: please join us! * Inscribed (in french) on the proscenium of the old theatre in the Carnegie-Mellon School of Fine Arts, my alma mater. The place I Iearned from a classmate in 1963 that Oswald had been shot. The place I found a desk with a secret drawer filled with treasures. The place of many flirtations. 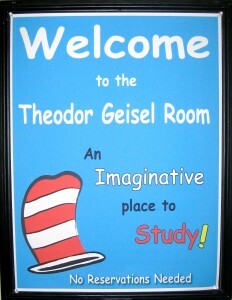 The place “where Inspiration spreads wide its glorious wings”. The place I am from. 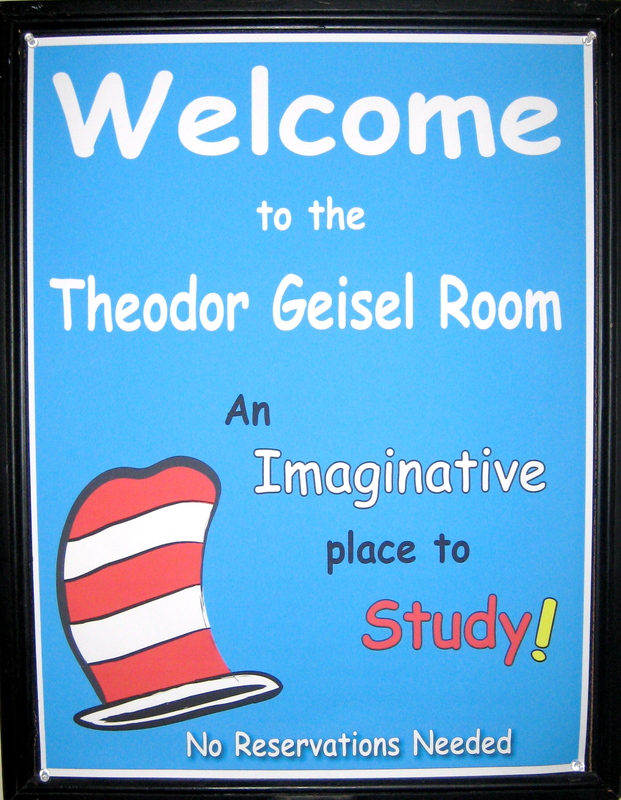 Of the many rooms I love in this library, I’m drawn once again to the Theodor Geisel (Dr. Suess) “imaginative place to study!” Must be something about unleashing the imagination of my childhood. Voices from long ago join me, yet it is silent and I am alone. An exhibit in the hallway about the history of printing and binding of books reminds me of my brother Jim (who invented the electronic book). I ponder an illustration from Dr. Suess’s last book, published in 1990: Oh, The Places You’ll Go! and I can’t imagine a more perfect place to work. It’s time to disconnect: no tweets, no emails, no calls. 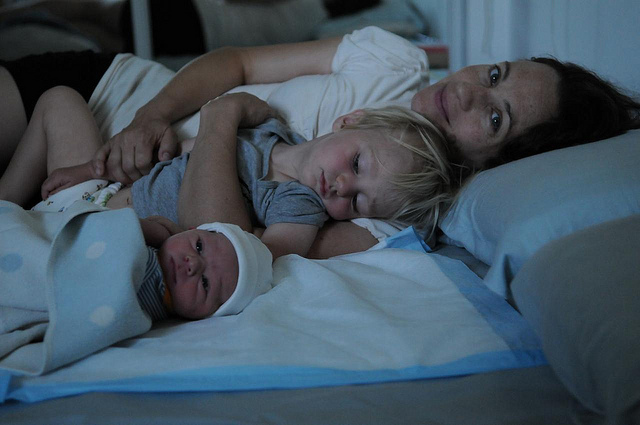 This is my daughter Abigail, with her 2-year-old son Gabriel and 6-week-old daughter Lucy. My grandchildren. Was ever a word so apt? Grandchildren. These two little tykes have taught me the most profound lesson in my life-to-date: they are the reason I’m here on this earth. I find myself whispering words of wisdom into their ears. My hard-fought-for skills of diplomacy and restraint seem effortless. I have never felt better about forging my own trail on my own terms. I am compelled to continue growing, to be my best self for them. My twice-daily-ritual, morning and night, is to recall everything I am grateful for. Gabriel and Lucy have given me the gift of a generational lens, through which the love in my life has multiplied a thousandfold. I am so thankful. And that’s what it’s all about. For me. I’ll be posting my thoughts about my mother as soon as I have the presence of mind to edit my daily “ritual writings”. She had Theatrical Intelligence in abundance! In the meantime, I’d like to share the a piece of writing dictated by Mom to me on Thanksgiving Day, 2007. She was 87. Our family was playing a game from Mary Pipher’s Writing to Save the World, called “I am from…” It’s about origins and influences. * I am from Mortimer O’Sullivan, Patrick Ahearn, Ellen O’Brien, Agnes Ahearn, and John Mortimer O’Sullivan. * I am from Irish Catholics and Irish Catholics and Irish Catholics and Irish Catholics! * I am from Ireland, Ballyporene and green and history and the brogue. * I am from Billerica and Boston. * I am from Mildred McKean the music supervisor telling my parents “You have a very gifted child” and arranging a cello for me. 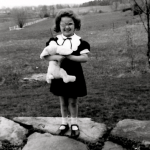 * I am from my doll Betty, a gift from Grandfather Ahearn – tailor to Harvard Square – making me jodhpurs when I was thirteen. 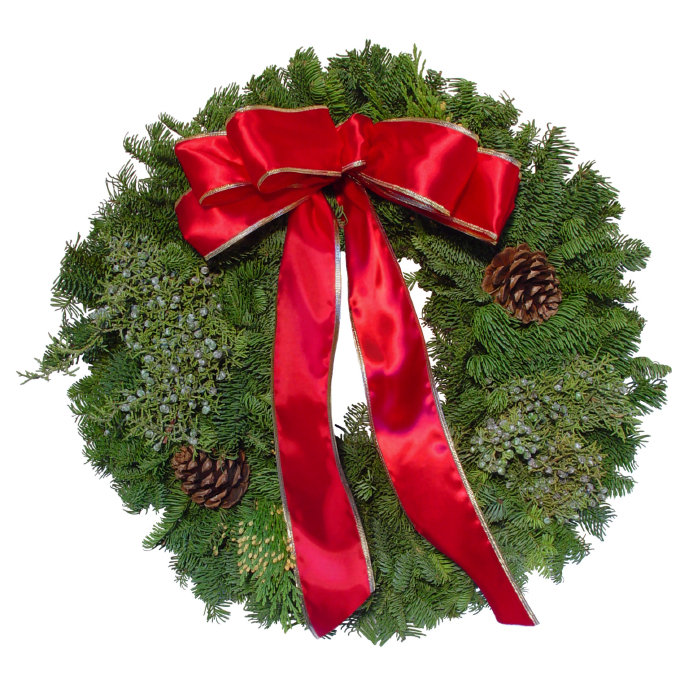 * I am from summers on the Cape with my brothers and sisters in Wellfleet. * I am from sitting at the soda counter and ordering an ice cream sundae while Dad always had a coke and said “…add a little lemon.” That was so grown-up! * I am from Children’s Hospital and Sidney Farber at Harvard and Faure’s cello sonata which was when Ernie fell in love with me. 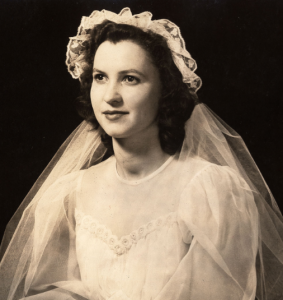 * I am from daffodils and 4/3/43, our wedding day. * I am from 54 months of pregnancy, six kids, being a chauffeur, learning to ski, teaching cello, founding an orchestra and getting my masters – it didn’t take very long – they gave me credit for life. * I am from…four score and seven years ago! Your final words were “Love you”. Thank you for everything. Love you too. My name is Ann Sachs, and I’m developing a process I call Theatrical Intelligence®. This is my blog, where I post bits of writing as I build my idea into whatever it is meant to become. 2am Theatre Launched at 2am one morning in 2010, this is a virtual community to exchange theatre ideas. Twitter hashtag: #2amt (the ‘t’ is for theatre). American Theatre Wing Founder of the Tony Awards, and archive of those who work on Broadway. ArtsJournal.com An up-to-the-minute summary of Arts headlines and opinions. Broadway League The national trade organization for the commercial theatre industry. Commercial Theater Institute A NYC training program for emerging producers. Diane Hardin’s Joy of Acting Acting workshops for children 8 to 18 with Diane Hardin, the most acclaimed children’s acting coach in the country. Did He Like It? Reviews of Broadway, Off-B’way, Resident and Presenting Theatre productions. HowlRound An online platform to advance the health and impact of not-for-profit theater. League of Historic American Theatres LHAT is dedicated to the restoration and operation of historic theatres in North America. New York Library of Performing Arts An exceptional research resource, located at Lincoln Center. New York Times Arts Info NY Times arts blog. Sachs Morgan Studio Nationally acclaimed theatre design specialists since 1976. The Actors Fund A subsidiary of Actors Equity that provides opportunities for Equity members. 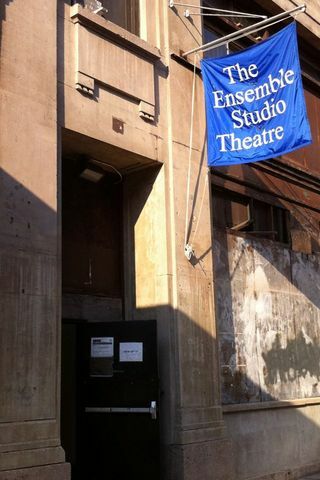 The Ensemble Studio Theatre (EST) An Off-Off-Broadway theatre that develops new, American writers and artists, and has produced 6,000 new works since it was founded in 1968. The Women Presidents Organization (WPO) A non-profit peer advisory organiztion for women presidents of multimillion-dollar companies.